for He hears my voice, my cries. (Torah reading, from Va'Era, Exodus 6:2~9:35, for complete readings see sidebar link to the readings! ). 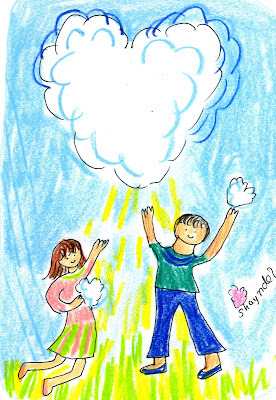 The first, above, was from God `appearing`in the heart-shaped cloud. 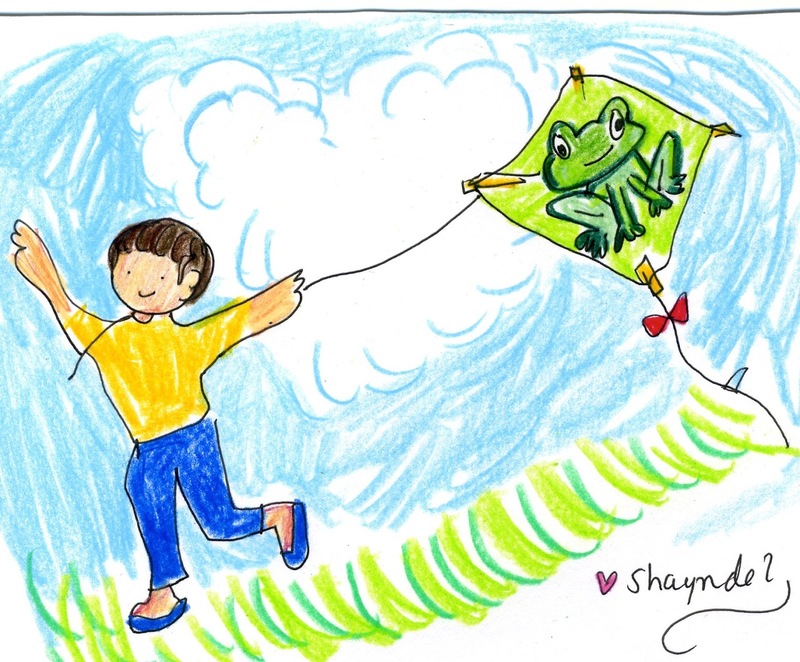 In the second I drew a frog kite, as an expression of remembering the plagues from the Exodus we read about in this weeks parsha, and being set free. Therefore, my child, be strengthened in the grace that is in Messiah Yeshua. As we read the parsha, look at the miracle! "Let my people go, so that they may worship Me". Now we read these words and Thank you, LORD. Thousands of years after the Exodus. May we say, Here we are! You have set us free so that we may worship You! May we always remember to tell of Your wondrous deeds, that You heard our cries and You took us for a people. Forever You are our God, who brought us out of Egypt. I will take you to Myself as a people, and I will be your God. You will know that I am ADONAI your God, who brought you out from under the burdens of the Egyptians. Beautiful interpretations of the heart-shaped cloud and the frog kite! Lovely drawings as usual! Your drawings bring a smile on my face and Benjamin also says hi back,he likes your drawings too. Psalm 116:1 God heb ik lief.